There are different ways to keep up with the action from Brazil. The summer Olympics are just a few days away, and whether or not you're a sports fan, chances are you'll want to keep up with everything that happens in Rio de Janeiro. Thankfully, you'll have many options to watch this year's games. But before we tell you how to tune in, you should know the event officially kicks off on August 5th, but certain competitions begin earlier. For instance, soccer (aka football) has games on August 3rd, starting with the women's match between Sweden and South Africa. There's also going to be gymnastics training that day. Whatever your favorite sport may be, NBCUniversal is going to have those of you in the U.S. covered -- even in virtual reality. Pay-TV subscribers have it easy. 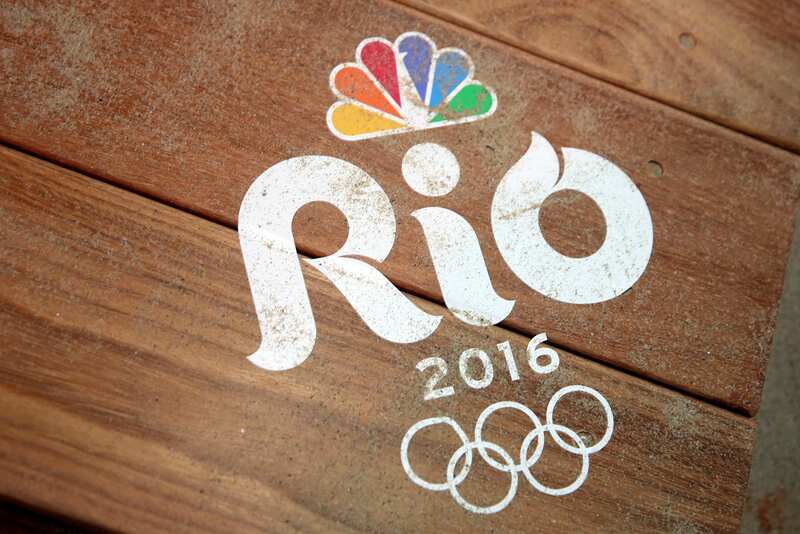 NBCUniversal will broadcast more than 2,000 hours of Olympics coverage across 11 different networks, all owned by the company itself. These include Bravo, CNBC, Golf Channel, MSNBC, NBC Sports Network, USA Network and NBC. Spanish speakers, meanwhile, can keep up with the games on Telemundo and NBC Universo. If you're a soccer buff, you'll definitely want to tune into these two often from August 3rd to the 20th. In a major shift compared to London 2012, some of the big television providers have big plans for 4K this year. Comcast, DirecTV and Dish have announced that they'll be serving up 83 hours of Ultra HD content from the Rio Olympics. The only caveat is that most of it won't be live, but this is still a perfect opportunity to put your shiny, new 4K TV to good use. The opening and closing ceremonies will be available in 4K on a 2.5-hour delay, while content from other events (such as basketball, swimming and track and field) is expected to hit the on-demand Rio 2016 portal the next day. Whether you're subscribed to Comcast, DirecTV or Dish, keep in mind you'll need a 4K set-top box (and TV) to take advantage of this feature. So if you don't have one yet, you have a couple days to try to make it happen. It's unfortunate that FiOS, Time Warner Cable and U-verse customers will miss out on 4K content, but at least they can still watch in regular HD. People with pay-TV logins, even borrowed ones, won't have much trouble watching the games away from home. NBCUniversal plans to stream 4,500 hours of Olympics programming, including live events, at NBCOlympics.com and through its NBC Sports App on smartphones, tablets and connected TVs. The application is available for iOS, Android, some Windows mobile devices, Roku, Apple TV and Amazon's Fire TV. Not surprisingly, as mentioned earlier, having access to NBC's TV Everywhere offering will require an account from a cable or satellite TV provider, or PlayStation Vue. What a time to be alive! Virtual reality is everywhere: The medium is being used for different purposes across a variety of genres, such as education, film and in-home entertainment. Now, as part of its efforts to let viewers experience the Olympics in new ways, NBCUniversal will have more than 85 hours of programming available in virtual reality. The 360-degree video treatment is coming to a few different sports, including men's basketball, gymnastics and track and field. But the content won't be there for everyone. Aside from requiring a pay-TV login, it will be streamed exclusively on Samsung's Gear VR headset. 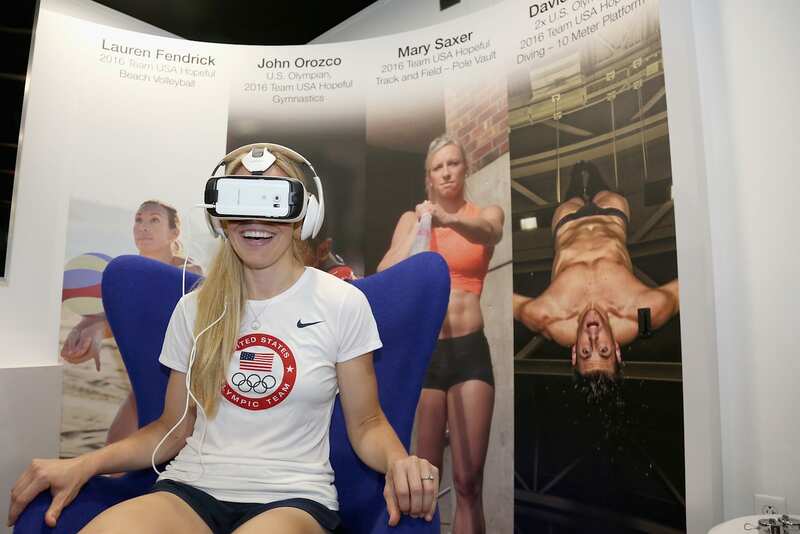 Olympic athletes demoed Samsung's Gear VR last year. During the 2014 World Cup, Univision did the unthinkable: It let people in the U.S. stream every game up until the knockout round without a pay-TV account. But that's clearly not a route NBCUniversal is willing to take. Cord-cutters have limited options for watching the Olympics. The obvious one is getting an over-the-air antenna though that only gets you access to NBC and Telemundo. For what it's worth, the opening and closing ceremonies, plus most of Team USA's bigger events, will be broadcasted on NBC. Telemundo, on the other hand, comes in handy for the Latino population and anyone who loves soccer. Now, if you have Sling TV, you're in luck. And if you don't, you may want to think about getting an account, even if it's only for the month of August. With the Sling TV Blue package, which costs $25 per month, you'll have access to NBCUniversal's NBC Sports Network, USA Network and Bravo. You also get NBC, but only if you're in Chicago, New York, the Bay Area, Los Angeles, San Diego, Philadelphia, Dallas and Fort Worth, Miami and Fort Lauderdale, Hartford and New Haven and, finally, Washington, DC. Sling TV also offers the Golf Channel and, for Spanish speakers, Telemundo and NBC Universo, but you'll need the Sports Extra and Best of Spanish TV $5 add-ons. That said, the service is running a promotion for the Olympics in which it'll offer a free preview of CNBC and MSNBC, giving viewers access to those channels at no additional cost until the Rio Olympics' end. 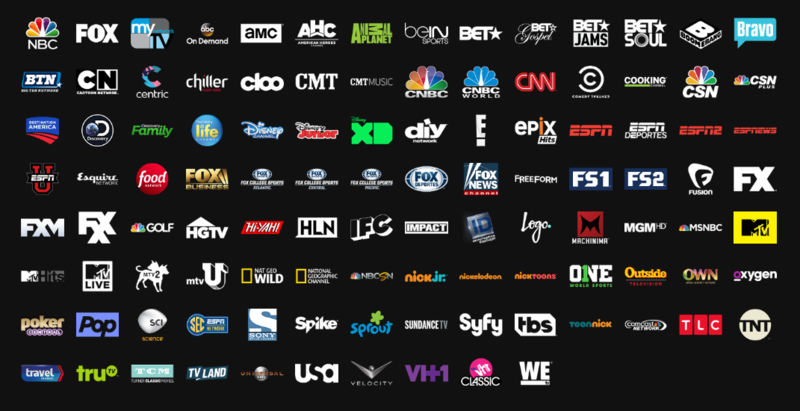 As a refresher, Sling TV works on the web, iOS, Android, Amazon's Kindle Fire and Fire TV, Apple TV, Android TV, Roku and Xbox One. PlayStation Vue's Elite Slim plan channel list. You'll get a similar deal with Sony's PlayStation Vue, which offers plans starting at $30 per month. The cord-cutter service has apps for PlayStation 3, PlayStation 4, Roku, iOS and Android, giving you the option to watch on a TV or mobile device. You'll want to pay for the $45 Elite Slim plan though, as that's the one that includes every channel from NBCUniversal. Pay-TV customer or cord-cutter, you'll want to check out the official schedule to find out when every Olympic event is happening. 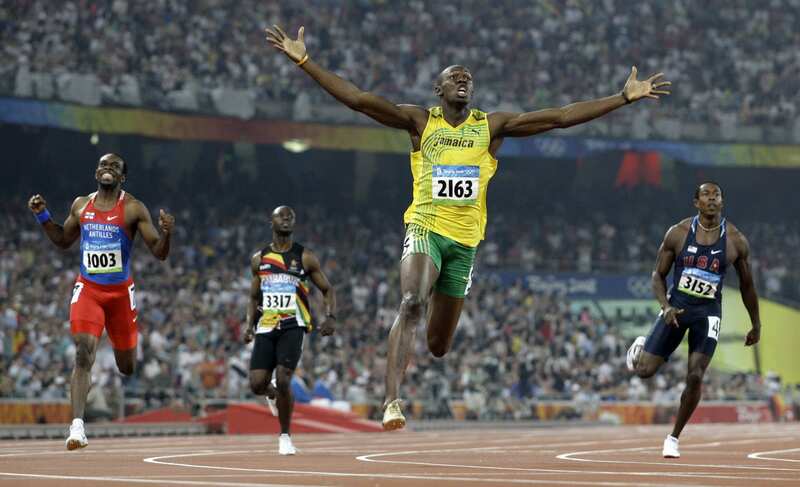 Because the last thing you want to do is miss Usain Bolt get yet another gold medal in the men's 100m.